It gives me great pleasure to welcome you to our new academic year 2018-2019. 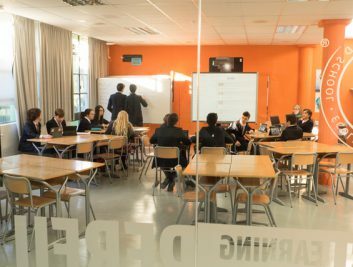 Over the last few months we have improved our school’s facilities by creating more modern and multifunctional open spaces, in which meaningful learning can happen. These innovative spaces intend to provide a warmer and more flexible learning environment through an active teaching methodology, for all of our students all the way from Preschool to Baccalaureate, so they can share their learning experiences with other students and teachers in a more enjoyable way. Our students are no longer mere listeners, but they are encouraged to participate actively in their own learning process, which enables them to build their own knowledge. 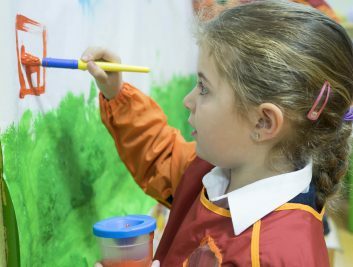 This academic year, our Preschool students will enjoy for the first time new learning areas to enhance their learning, based on the concepts of open classroom and Team Le@rning. As you well know, we offer our students a high-quality national and international education model. One of our main goals is to help our students achieve better results in their own learning process. Our guarantee is the otustanding results obtained throughout the years. However, our vision goes far beyond that. Nowadays, some of the most prestigious universities worldwide not only look for excellent academic results, but for students with different personal skills and principles. It has been our aim to provide our students with this type of holistic education and skills, which will allow them to successfully achieve any goals.This is the reason why we have implemented in every cycle all the different programs that the International Baccalaureate offers. These programs provide a rigorous curriculum framework as well as creativity, service and action activities (CAS), which allow our students to become principled and balanced citizens of the world. Moreover, one of our most fundamental milestones is the parent-teacher meetings. That is why this year we are offering a different approach, in which the tutor will coach his/her students. Last year, our students in Baccalaureate Year 2 and in IB Year 2 have received more than 175 offers from some of the most prestigious universities worldwide, such as: University of Bath, University of Edinburgh, Anglia Ruskin University, University of Warwick, University College Utrecht, American University, Boston University, Purdue University among others. This proves the high-quality personalised education that we offer our students. Our educational model is based on continuous improvement. In order to build this model, we have established a series of personalised goals to cover the needs of every student. This academic year we will receive the visit of the Council of International Schools, one of the most prestigious organisations for international schools. 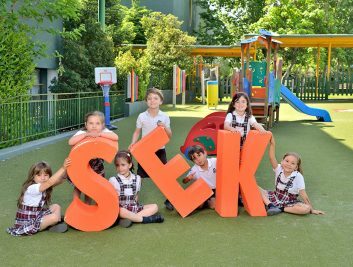 Furthermore, I would like to add that we were the first SEK school to be recognised as a CIS certified school and this coming September we are set to renew our certification after these 5 years. As part of our commitment to continue improving our professional learning and development, our teachers will participate in various workshops throughout the school year. 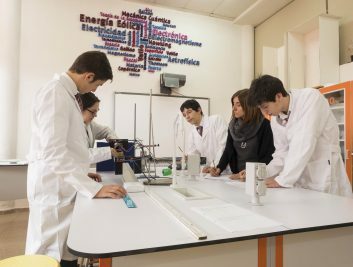 Moreover, we have increased the number of teachers with excellent professional qualities, both bilingual and native speakers. This will allow us to provide more subjects and modules within the timetable in English all the way from Preschool to Baccalaureate, and will give our students the opportunity to use English as the main language in Secondary and in the Diploma Programme. We will continue to work on the different projects that already enrich our school curriculum, such as: high performance sports club, astronomy, drama, SEKLAB JUNIOR, MAKERS, an interdisciplinary Project in conjunction with Harvard University led by a team of teachers from our school. We will continue to offer exchange programs with other prestigious international schools around the world, such as: Dhirubhai Ambani International School in Mumbai, India; Collège Le Cèdre in Le Vésinet (France); Heinrich-Heine gymnasium and Dietrich Bonhoeffer Gymnasium in Heidelberg (Germany). We will also experience the United Nations models: SEKMUN, THIMUN and Harvard and different Debate Leagues. Finally, on behalf of the school faculty and on my own behalf, I would like to thank you again for the trust you have placed in us. Needless to say, throughout the school year we will be delighted to inform you and answer your queries on any aspect of the educational process of your children. I wish you every success in the coming school year. We are an educational community that promotes the development of abilities guaranteeing relevant, global, international and meaningful learning aimed at achieving the full potential of each and every member in order to face the challenges of the 21st century. Our vision is to develop people with an international mentality, with a passion for learning and a commitment to excellence, who will become full and happy citizens able to contribute towards the creation of a better world. We have been accredited by the National Child Safety Association who have awarded the college their S+ Quality Certificate. 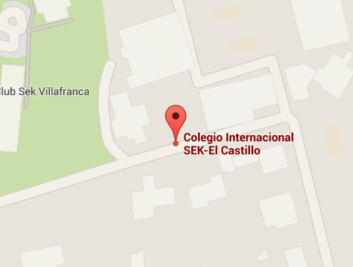 SEK-Ciudalcampo is committed to meeting the general rules established by that organisation for child protection and the prevention of accidents.